2 What Are Spincast Reels? You are in a luck before the famous spincast was designed, fishing wasn’t as a popular hobby. There was no easy way to go about fishing without it taking a lot of prep and organization. However, those that wanted to pursue angling more were limited to fishing reels that were draconian by today’s standards due to their size and weight. Also, the high cost of entry for anyone interested in buying one. 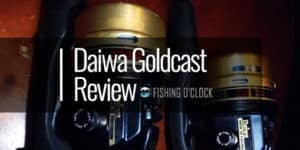 Let’s look at some spincast reel reviews to get a better idea as to what you can expect to find out there when looking for the right type of reel for your needs. Make sure you invest in the best spincast reel for the fish you want to catch and the correct water source, be it saltwater or freshwater. This is a great choice for a fishing reel with its versatile left hand or right-hand operation and a line guide and the drag system that creates a very balanced hook experience. The durable aluminum covers add to the light, but very strong reel and its ergonomic design create less fatigue- more fishing time, less tiredness. The stainless steel bearings really help this spincast stand apart from its peers. Typically, the higher number of ball bearings in a fishing reel, the smoother the performance tends to be. This reel has a large amount for its price class. 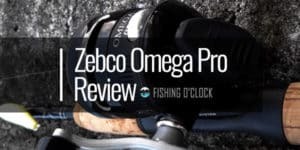 Adding proof to Zebco’s considered thought process that was put into this reel is the fact that it was designed for right or left-handed anglers. A great reel all around, at an accessible price. The President Spincast reel is a four-bearing spincast reel with a svelte aluminum body and designs that are easy on the eyes. The anti-reverse feature built in really allows for this reel to have a smooth and reliable experience when casting. 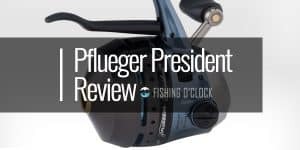 The President reel is equipped with a reliable release button that provides accurate casting that allows for a great distance as to how far you can cast the line. Further line = more fish! This high-quality reel has been designed with many features with the angler in mind. It can be for either right hand or left-hand operation based on your personal comfort and preference. The durable and heavy duty strength aluminum covers the high performing bearing system. 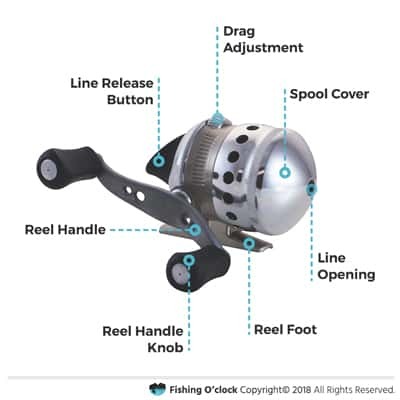 The fact that this spincast reel has a system with 7 bearings, with its guaranteed smooth line movement, really shows how much effort Zebco has put into this reel and the design of their spincast reels in general. It provides for a hassle free fishing experience for any angler at any level. The durable lightweight qualities of this reel guarantee a fatigue-free angling experience that will allow you to spend the time needed to catch the fish you want. Daiwa makes spin cast reels that are consistently ranked as some of the most dependable and reliable reels out there. The Goldcast is renowned for its smooth and even retrieves. Other attributes that set it apart consist of an oscillating spool, a fast gear ratio, and a strong, all-metal construction. All add up to a great performing reel. One of the stands out features of this spincast reel is the oscillating spool. When you are retrieving, the spool swings back and forth to even out the line winding. The multi-disc drag really creates a very smooth and friction free reel experiences and the micro fine adjustment feature of this reel can help avoid your line breaking from an unexpectedly bigger fish. It gives the angler more control than usual with a spincast reel. Strong and built to last. 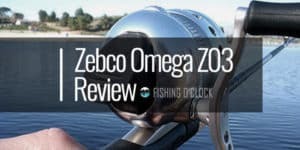 The Zebco Bullet is one of the fastest and best spincast reel in its class. Its padded handle is very comfortable and has been created for all- weather scenarios. It has a light left hand and right-hand retrieves that makes it versatile and easy for any angler, whether left handed or right handed. The Bullet Spincast Reel has been built very well and durable due to its front cover that is double anodized and made of forged aluminum. Also, its ZeroFriction double bearing system that is supported by the pick-up pin design helps for smooth operation and casting and gives the impression of really well thought out design with ease of operation for anglers just starting out. This ZeroFriction system also allows for increased ability to cast long distances and have much more control over the line. The CNC machine-cut brass drive gear and the 9-bearing (8+clutch) system also adds to the large list of features that this reel can boast of. The Zebco 33 Authentic Spincast Reel includes improvements over previous versions to make fishing easier and more enjoyable!. The new line management system has created a reel that is much more efficient, enhanced casting, improved line retrieval and more positive control with better results. The simple thumb button mechanism has been redesigned and optimal to create a more solid connection directly to the body of the reel, separating it completely from the rear cover. This new support withstands more wear and tear and lasts for the life of the reel. Other key additions to this reel are the professional strength steel manufacturing with ball bearing drive. The advanced drag on this economical spin cast is a very interesting feature because this precision level hasn’t been built into a Spincast reel’s drag system before at this price point. The Reversible for right or left hand retrieve is another welcomed feature for this reel and really does create an easy, welcoming reel for the beginner or novice. You probably first started off your angling lifestyle with a spincast. The good ol’ spincast. So, for you newbies out there, first off, we need to know what a spincast reel is and how are they different from other reels? Then, let’s get into the nitty-gritty of things. A spincast reel is just a variation of a traditional spinning reel with some added features. It uses a bait that floats to attract the fish and hook them. With a spincast reel, the line is released from a fixed spool and can be utilized with light lures and baits. The spincast reel, with its ease of use, was designed to take care of the backlash issues found in other reels. Spincasts also solved issues with line twist and snare, which were big complaints from anglers when using other spinning reels. If you are a novice, fisher with experience or even a child, a great spincast reel will be a compliment to your fishing arsenal. Some anglers also have mentioned that spincast reels are a combination of a baitcasting reel plus spinning reel. However, unlike a reel such as a baitcaster, spincasters sometimes can have a reputation for being cheap by some angler but that is not always the case. You can, depending on what you are looking for and want to spend, find a higher end spincast with a solid, well-constructed design that will perform quite well in saltwater or freshwater sources. So, what should you look out for when buying a great spincast that will do what you need it to? A majority of anglers would agree that the most important thing needed to make their fishing time a joy and successful experience is to have quality equipment and the perfect fishing environment. As you probably know by now, fishing reels come in many sizes and types. One reel that really stands out for many reasons is the legendary spincast reel. The spincast reel is the easiest and most user-friendly reel on the market. It’s simple design and operation makes it perfect for beginners. Adding to the qualities bestowed on the Spincast are that they are also the most affordable reel out there as well. Low cost, enjoyed fishing, what’s not to love? Let’s look at some things you need to know or should know before purchasing one of these great, versatile reels. We will start off on what makes up a spincast reel and how that benefits you as an angler? What makes the spincast so easy to operate? It’s all in the button! Let’s talk a bit about the mechanics of operating a spincast reel so we can get a better idea as to what you need to pay attention to when buying one. Spincast reels are recognized by their “closed” face, that is the spool containing the fishing line is totally enclosed inside the reel itself. The line exits through a small hole at the nose of the reel. This contrasts with a spinning or baitcaster reel where the line is exposed and able to be manipulated more. 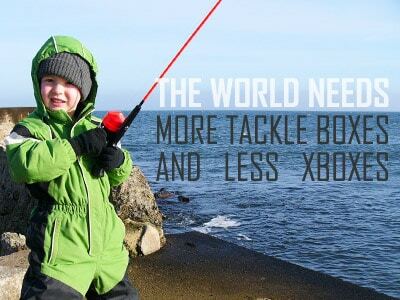 What you gain in ease of use, you lose in total control over the fishing experience. Activating it with a push-button feature located at the rear of the reel. You prepare the reel for release by pressing and maintaining the pressure with your thumb. When you go to cast the line, you release your thumb from the button. Watch the line cast in the direction you selected with the lure/bait of your choice. Kind of great and easy, huh?. Like all reel types, spincasts come in different sizes that match with rods of different lengths and strengths. Typically, larger reels are better suitable with longer and more powerful rods with heavier lines. These are for the big fish. Smaller reels match best with shorter and lighter rods with similar lines that are not for catching big fish. It’s a good idea to know what constitutes a good spincast reel so you can identify which one to buy. More is more. The more pins the better and more pins allow for faster speeds with more reliability. Choose a spincast model that has multiple take-up pins that are metal (not plastic or some other material) as they will last longer and protect your investment. You don’t want the pins snapping as you are mid-cast and got yourself a prized fish! Historically, spincast reels were an afterthought when it came to size and weight. Due to their typical application of being used while dropping the rod over the side of a boat and waiting for the fish to bite. Nowadays more and more anglers are using the spincast for ultra-light and bass fishing which require lighter rods and lures. So, the old heavy spincast reels of yesterday just won’t be appropriate as the weight ratio between rod and reel would become a negative extremely quick. Look for a reel that with aluminum or with a blend of aluminum/graphite materials for reduced weight without any loss of strength or durability. Spincast reels are not recognized with their high line capacity considering the closed nature of the design and type of fish they are used for. Few spincasts are able to handle more than 100 yds. of 2 or 4 lb. test. For the line, you will be using, pick a reel model that has the highest capacity suitable for the line. What you need is a drag system that is high quality and will help prevent spooling so that you can fish for small to medium ranged fish. NOTE* Do not use a line larger than what the reel is for, it will reduce capacity and will also affect the reel’s overall performance and results. Too low of a ratio and lures will fail to reach the speed needed for best performance. Too high a ratio and your lure will be ripped from the intended zone before you can catch anything. Spincaster reel’s design is known for more lower ratios than other reels. Look for a model with a gear ratio between 2.5:1 to 4.5:1 when buying your reel. Bearings are not what spincasts really excel at. Some are even made without them! Like other reels, more bearing counts the better. It will provide a smoother overall performance of your reel. Unlike the mighty baitcaster, spincast reels are not contenders when it comes to drag prowess. The internal drag, which is maneuvred around by a small wheel on the body above the release button you press down with your thumb, is the most common in spincast reels. The design is easy to use but it’s not as accurate and can cause unintentional movements by your thumb if you rest your thumb near it during use. Pick a spincaster reel that consists an aluminum or aluminum/graphite body. This will protect your investment and provide longer lasting function. A plastic or all-composite reel has limited strength but also does nothing to protect the inner gear system. You won’t get much long lasting use from a spincaster made of plastic. Paying attention to the points noted above will help you with your decision making when selecting a quality Spincaster that will let you have a great fishing experience with a reel that lasts longer and performs better. Like Ying and Yang and Night with Day, all things have a dual side to them. The noble spincast does not escape this universal truth. Depending on who you ask would be the answer you get for if you should use a spincaster reel. It’s really about what you plan to do with fishing and where you plan to go. Spincasters are not exclusively for beginners but their ease of use does come with limitations. So, most pros don’t consider them a viable option. Let’s look at some advantages and disadvantages of the spincast reel. Easy to use. Even for your kids and new students to the world of angling can utilize this reel to fish with great success. There is a slim chance of getting knots in the line, as the line opening on this reel doesn’t allow for it. Spincaster reels generally have a good price and are easy on the wallet to explore fishing with. They have a solid, durable and simple construction which makes them perfect to start off with. Spincast reels are not fighting with large aggressive fish. Don’t attempt to go out into the great saltwater of your area looking for big game fish. You will probably come back with a broken rod. Some trade-offs must be made as far as accuracy and precision of this type of reel design. Spincasts are not as accurate or precise in contrast to baitcasters and spinning reels. What they have in easy, comfortable angling they lose in sheer performance. What are my needs?- do I plan to catch big fish or small fish? Where do I plan to fish? Freshwater sources or Saltwater sources. Both freshwater and saltwater spincaster reels have their purpose and deciding on which one to purchase takes us to the 1st and 2nd factor listed above. Let’s take a look at the attributes of both and see what they can offer for each of the major categories that make up this reel. Saltwater- typically these reels are consist of Aluminum that guards against the saltwater environment and protects against the weather better than one with a lesser strength material designs. Freshwater spincast reels for freshwater sources generally consist strong (but not as strong as aluminum) graphite. It’s a durable material but not generally used for other water sources beyond freshwater (lakes, rivers). Both saltwater and freshwater spincast reels should have a good drag system that will allow you to successfully capture the fish you want, small or bigger size. Look for lbs/kilos in the higher numbers when it comes to drag to make sure you are buying a decent reel. Freshwater can have bearings made of a different material that doesn’t take saltwater environments into consideration and consequently, might be less durable. Spincasters like other reels, as a rule of thumb, have different options for different water sources. What you will find typically is that when a reel is for saltwater, its reinforced in some way through shielding or a more durable material to withstand a salty, corrosive environment. Usually, with all reels that are created for either water sources, the differences lay in the materials used for production. Saltwater reels usually have more of a protective coating to limit exposure to the corrosive nature of the salty environment. Freshwater reels typically have a less durable graphite handle ( as opposed to steel ) due to the nature of the demands of the environment and freshwater fish. Saltwater reels most likely will have stainless steel ball bearings that protect the smooth of the operation of the reel. Freshwater reels can have more plastic parts due to the fact that the water source they operate in doesn’t have the same corrosive properties as saltwater. Drag systems could differ, pay attention to that. The more pounds/kilos that the drag system can handle usually is a sign of a higher quality design reel. Pick a Spincast reel that consists of light and strong aluminum- this will provide extra durability, enhance the longevity of the reel and make for an all-around better end-user experience when fishing. Make sure that the reel has stainless steel bearings that can handle saltwater. Some reels could have a different system in the spool that is not as efficient of conducive as a high quality, high count ball bearing system. You won’t find the high amount of ball bearings like in a baitcaster but take the time and find one with at least 2-4 bearing count. Spincast reels are generally the cheapest reels on the market which points to the simple easy design that a lot of anglers appreciate. Not everyone wants a participant- heavy fishing experiencing. Make sure the reel is metal, rather than plastic, since the plastic parts and will be pretty much useless in saltwater environments! Don’t let the cheapest reel on the market tempt you because you may not be like the results. Perhaps, purchasing a cheaper one can be ideal for your child to learn how to fish with. Q: What’s the difference between a spincast and a baitcaster reel? A: The differences lay in the design of the reel. Spincast reels have a closed and shielded design which allows the spool and line to be activated with a press of your thumb on the release button. It’s an easy, simple reel that is best suitable for anglers who appreciate a relaxed fishing experience and for novices looking to explore fishing. A baitcaster is more for professional users who are looking for a bit more mastery over the fish and water sources they can approach. Hence, the mode of operation for a baitcaster differs from a spincast via the more involved process in releasing and controlling the line. You use your thumb directly on the spool of line to release and control while fishing. Q: Can a child use a spincaster reel? Because they are the simplest designed reel to operate, the learning curve for little anglers is very short. Due to ease of use and the effortless operation, children don’t get as frustrated and with the covered design for the spool and gears, the issue of them potentially hurting themselves, like with other more complex reels where the moving parts expose their fingers to injury. Spincasts are generally much cheaper than other reels – you can find some targeted towards children even at the sub $20 level, which would be perfect for children to lean on. Q: What should I look for in a spincast reel? Look for a higher quality reel made of strong metals such as aluminum. Also, make sure the reel has steel ball bearings to enable a smooth cast. Avoid at all costs a reel made from plastic. Look for a reel that has a protective coating on it so that you can use it in a saltwater environment. Q: What are some advantages the spincast reel has over other reels? Spincast reels are famous for their ease of us- much more so than other reels which require a learning curve and a certain level of mastery. Spincast reels are ideal for beginners /novices and children- don’t require a lot of additional learning. Cost effective and perfect for a beginner’s budget- you can find spincast reels as low as $20 in some places- Pay attention to the points noted earlier regarding what to look out for. Spincast reels natural design allows for less fatigue when fishing compared to a more user intensive experience from a reel like a baitcaster. Here’s what to look for if you want to buy the best baitcasting reel possible. And, make sure to also check out our fly reel buying guide. To recap, a spincast reel is basically a kind of reel that makes use of a spinning reel. It also utilizes a bait that floats to attract the fish and hook them. A spincast reel releases the line from a fixed spool and generally uses lighter lures and baits. Intrinsically, The spincast reel’ design takes care of the backlash issues found in other reels. Follow the link to read our spinning reel reviews. Spincasts can offer a lot to anglers or all ages and skill levels. They provide an easy, traditional fishing experience that is easy on the wallet. When searching through spincast reel reviews, focus on what you want from a reel and where you want to use it. This will help you select the perfect reel for either saltwater or freshwater fishing. The best spincast reels will offer you a strong and durable construction with metal (aluminum) components including the gears and ball bearing system.